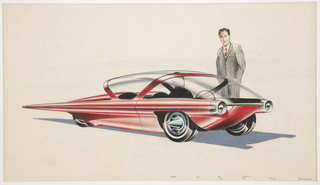 See more objects with the tag presentation drawing, mobility, fiction, futuristic, concept, aerodynamic, car. This is a Drawing. It was designed by Pete Wozena and from the office of General Motors. We acquired it in 2017. Its medium is color pencil, brush and gouache on paper. It is a part of the Drawings, Prints, and Graphic Design department. 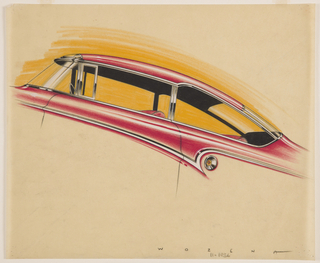 This concept drawing by designer Pete Wozena presents an elaborate automobile aircraft fantasy, a popular 1950s motif in designs for dream cars as well as production models. 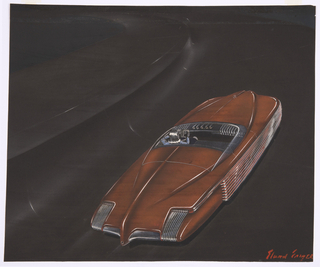 Dream cars were an important aspect of General Motors' overall presentation--they often featured as showstoppers in the General Motors Motorama, an auto show staged by GM from 1949 to 1961, and the premier stylists at GM were recruited by Head Stylist Harley Earl to create these top-secret designs. Earl described a good car as being a retreat or vacation, and aircraft-emulating automobiles were perhaps the perfect vehicles to foster fantasies of escape. With jets streaming fire at the vehicle's rear, this beautifully rendered concept car design also demonstrates GM's potential to master still unknown technologies. 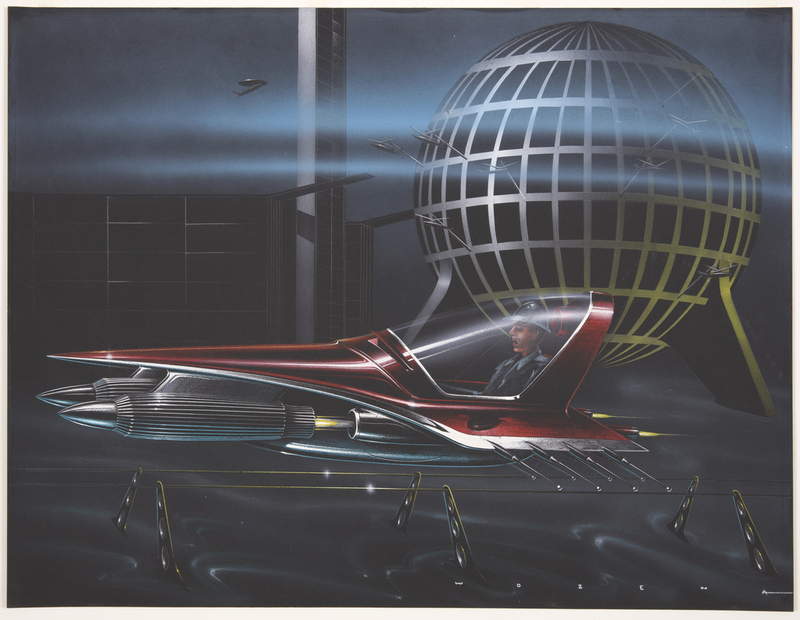 While Wozena outfits the driver of this vehicle in traditional attire, the futuristic landscape acts a surreal background. 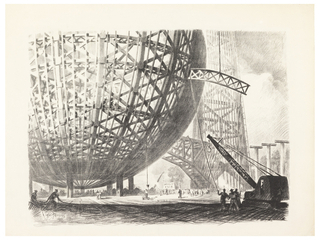 The globe-like grid forms and abstract architecture resemble the styling of the "roads of tomorrow" that characterized the futuristic highways in GM's 1956 industrial musical "Design for Dreaming," and it's possible that Wozena's drawing was connected with the project. The swirling fog along the road likens the highway to a runway and suggests that the car might actually be traveling through the air. This object was purchased from Leo Brereton and agent: Hampton Wayt and purchased with funds from: Paul Herzan and fund: General Acquisitions Endowment and catalogued by Julie Pastor. 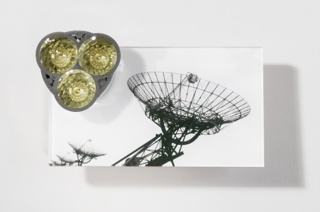 aluminum dibond laminated photograph, plastic reflector, glass beads. color pencil, brush and gouache on paper. color pencil, graphite, brush and gouache on paper.